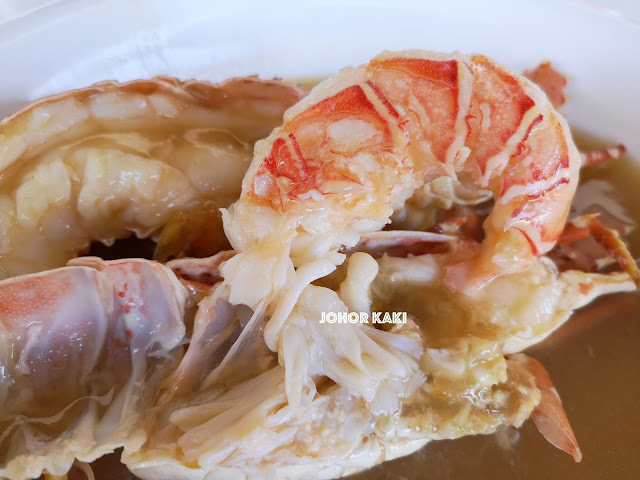 (3 Nov 2018) After 2 years of tasting, re-tasting, I have updated Johor Kaki JB Top 100 for 2018. I personally tried and tasted every recommendation several times. I did not copy and paste the work of other websites. New stalls have been added. I have delisted (dropped) some stalls from the previous list. Wish you Happy Eating. Please share with me your recommendations so that I can visit your favourite stalls and update this list for more people to enjoy it. 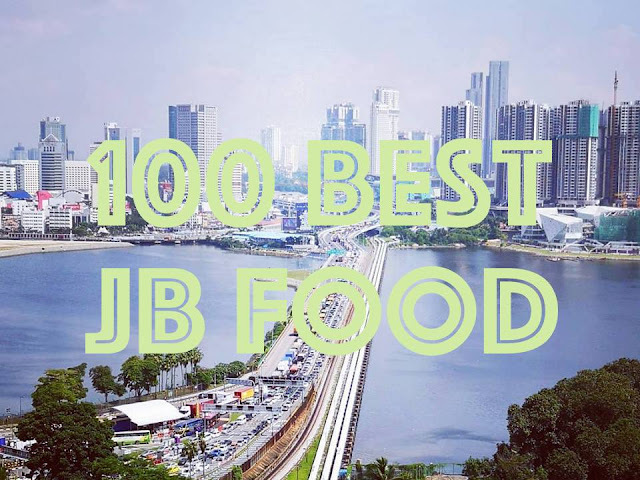 These are the 100 readers' choice of most popular JB hawker food after personally tasting and writing over 2,000 articles about food stalls and shops during my decades of eating and 7 years of blogging in Johor. 👆Click on the photographs (below) for full details like GPS, telephone, taste notes, stories etc on each Top 100 hawker. 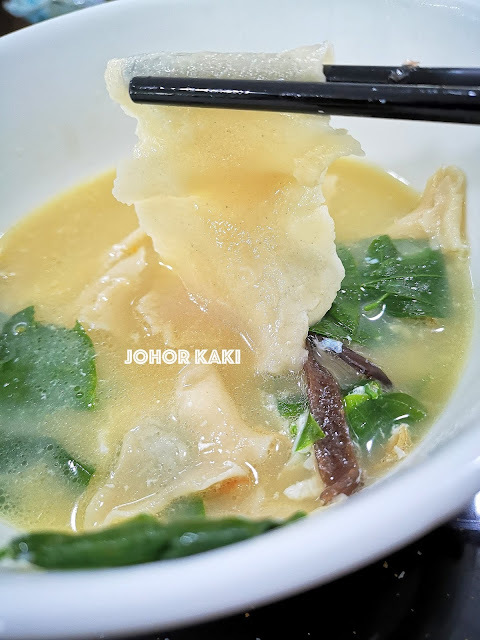 👆Restoran Selera Selatan | Jalan Rosmerah 2/13 (opposite Ang's Laksa), Taman Johor Jaya, Johor Bahru | Roti canai from 7:00am till sold out (usually about 10:30am but sometimes by 9:00am). Selera Selatan serves nasi campur for lunch till 3:30pm. Sunday off. 👍 My favourite roti canai in JB now - plenty of spicy sweet flavours and a nice crisp without the grease. I love the runny eggs here too. 👍 Enjoy friendly, delicious and comfortable street side dining at Fendi. Chill with crispy roti canai, nasi lemak in banana leaf, and traditional Malay snacks and desserts over teh terik. 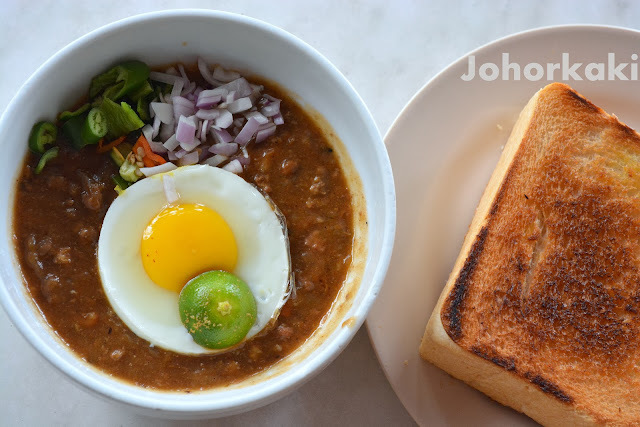 👍 Try Kacang Pool Haji - it's a wonderful, unique tea or supper time snack. This unique JB interpretation of the Middle Eastern staple is packed full of beefy flavours and enjoyed with a sunny side up and thick greased toast. 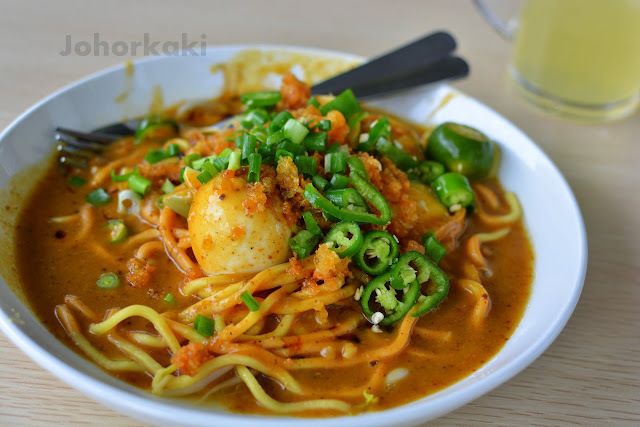 👍 A quality traditional mee rebus recipe well loved by the people of JB for nearly a century. 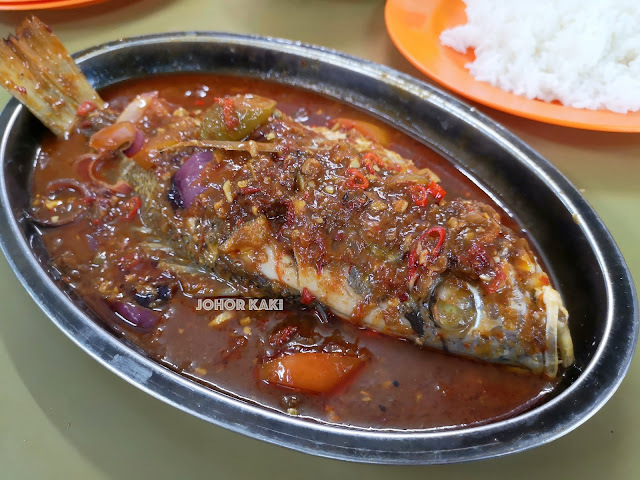 Zainal's is just one of eight popular family run stalls and shops continuing the Hj Wahid / Wak Baidali mee rebus heritage. 👍 Excellent breakfast pit stop with local warung ambiance. Many traditional dishes on the menu - mee rebus, lontong, nasi lemak, nasi briyani (on Fridays), all good. 👍 A.B. Rahmat's nasi ambang is one of those meals that fill your stomach and still leave you hungry for more. All the elements from the fried chicken to the little crispy fish, crunchy vegetables and spicy sambal chili combine together deliciously. 👍 Yellow Corner is indeed a nice place for a simple delicious meal, and a good homely place to chill with family and friends. 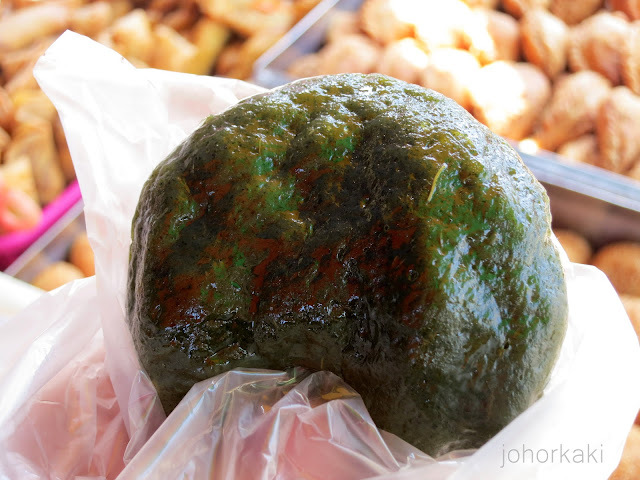 This is a local Kulai folk favourite. 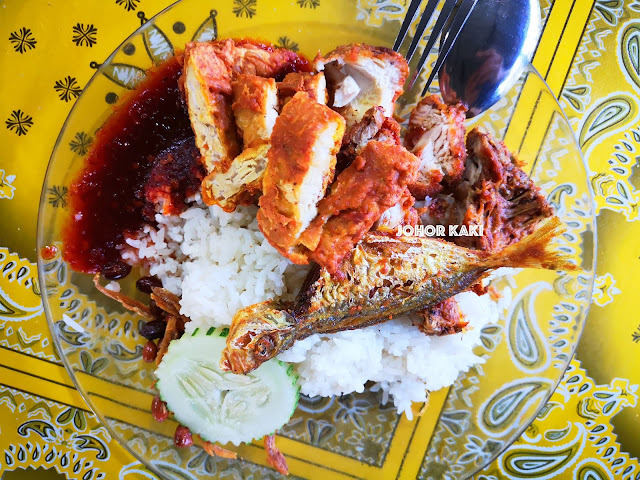 👍 Mughni Saujana Cafe (or Warung Sebelah Rumah Menteri Besar) is a great place for delicious nasi lemak with a full range of side dishes in an authentic local setting. Prices are reasonable. 👍 Simple, heartwarming, delicious sweet hand made traditions. Fresh ingredients, made while you wait, eat it light and fluffy while steaming hot. 👍 A good place for an authentic Malaysian warung style breakfast from the wide range of delicious traditional food to the kampung ambiance. 👍 The undisputed Cendol King! 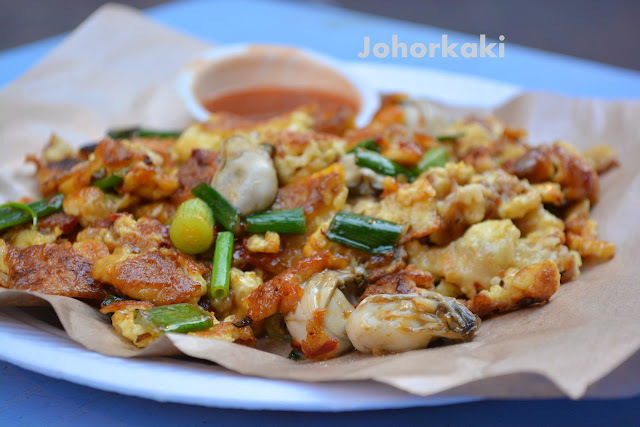 of Johor Bahru rules for over 30 years simply by staying faithful to the traditional recipe. It's one of the best things RM2 can buy in JB. 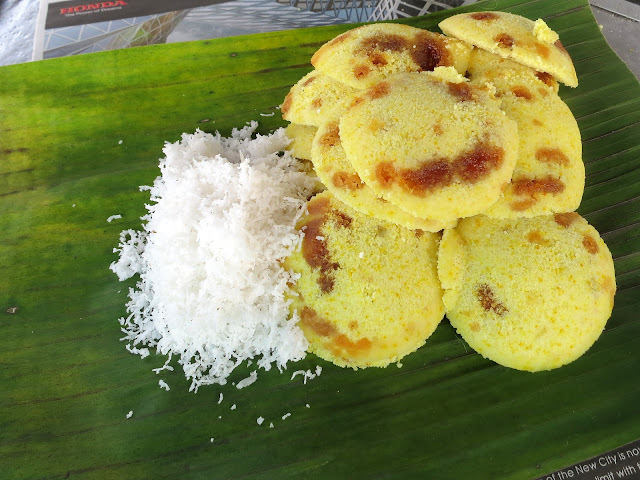 👍 An excellent one stop to enjoy many delicious traditional Malay dishes, snacks and desserts. I like the street side yet homely ambiance here. 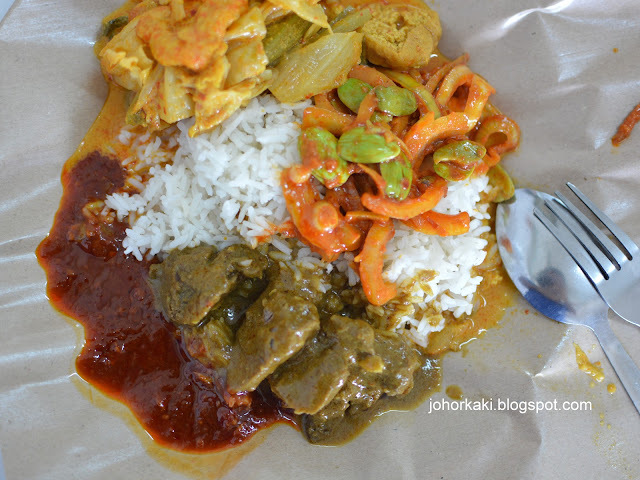 The nasi ambang here is one of JB's best. CLOSED. Lots of delicious nasi padang selection that make lunch something to look forward to for many people working around the area. 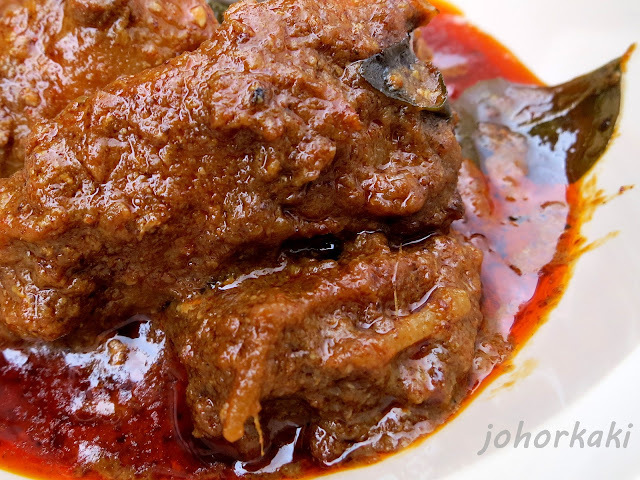 Their beef rendang is one of the best in JB. 👍 Local JB folk's choice. Wide range of choices, well executed dishes, nicely balanced flavours, reasonable prices, quaint old downtown ambiance. 👍 Humble little shop serving well loved Nasi Padang here for over 30 years. Over 20 freshly cooked dishes and we love every one that we've tried so far. Fresh ingredients, well executed, mild well balanced flavours, reasonable prices. 👍 Nasi beriani fans, this is a Must Try. 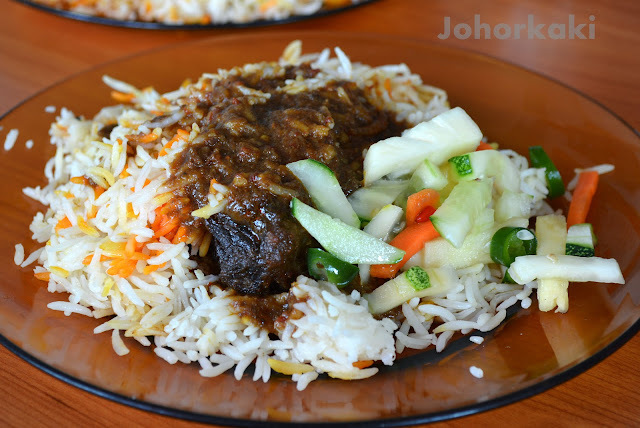 Tender spice perfumed rendang on flavoursome aromatic basmati rice, the taste reminds me of the famous Mohd Shah nasi beriani in Batu Pahat. 👍 One of JB's oldest Indian restaurants still serving traditional Kerala dishes on banana leaves. Home cooked style dishes with fresh ingredients and gently spicy aromatic flavourful spices. 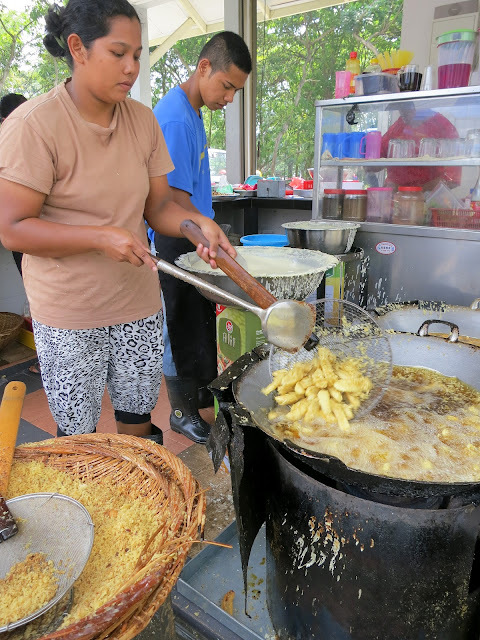 👍 Sweet Banana Pisang Goreng stall as tasty as ever and now better than ever with cosy seating and ample parking :-D The best getting even better. Everything is good, and my favourites are fried mung bean, tofu and mushroom. 👍 Get a taste of Kelantan food here in Johor Bahru. Plenty of traditional dishes here from the Peninsula east coast states. 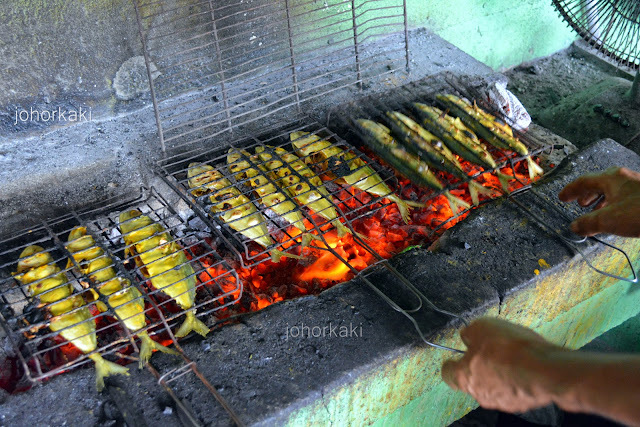 My favourite is their fresh charcoal grilled fish. 👍 A good place for a true Malaysian breakfast - mee rebus, mee siam, nasi lemak, mee goreng etc. 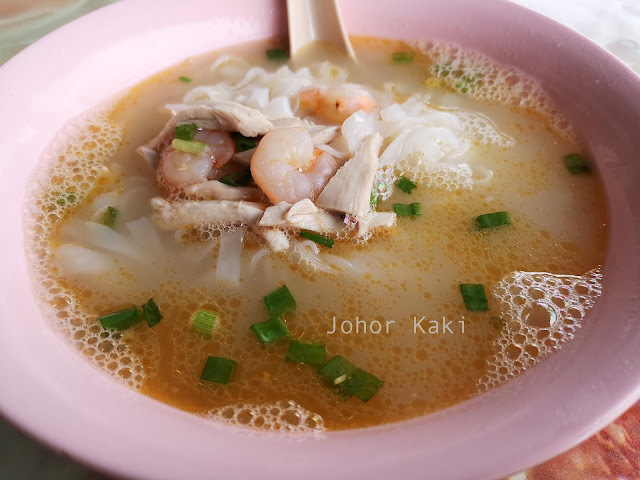 A plate of Laksa Johor completes this uniquely Johor experience. 👍 DELISTED. Banafee's ayam penyet really kick butts but this place won't be winning any prizes for cleanliness or ambiance. It is ok for me but don't say I never warn you :P If your preference is for tender juicy ayam penyet with a slight crisp outside, I recommend Banafee café. 👍 Experience JB street food at an institution long enjoyed by locals. 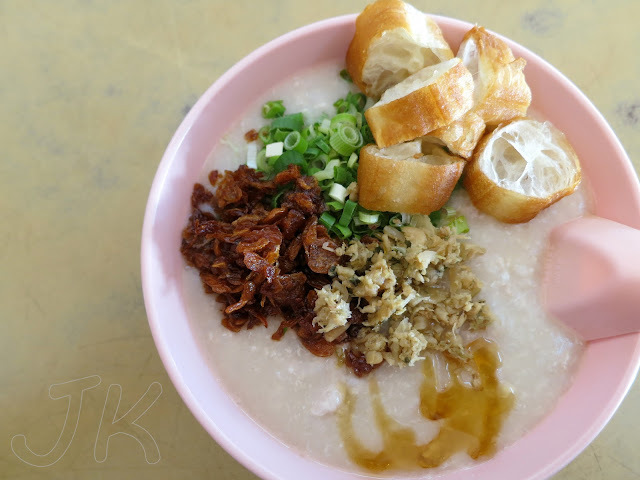 Humble rice porridge with simple sides, yet it is so delicious and satisfying. 👍 Meldrum Walk is the best place in JB for sup kambing as there are half a dozen stalls here. 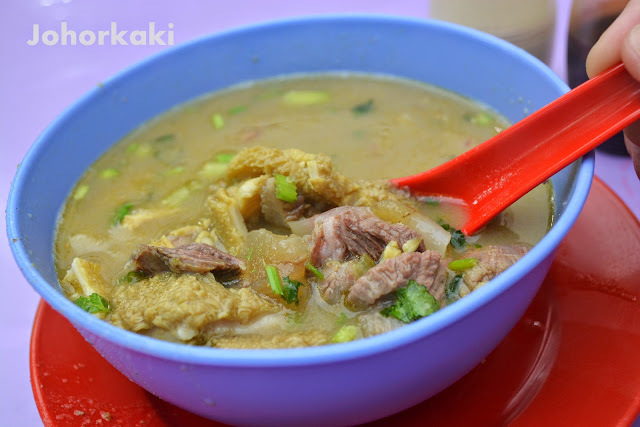 If you like your kambing soup medium bodied and mildly spicy, you will like Daud Kambing Soup. There are lots of choices of different lamb parts too. 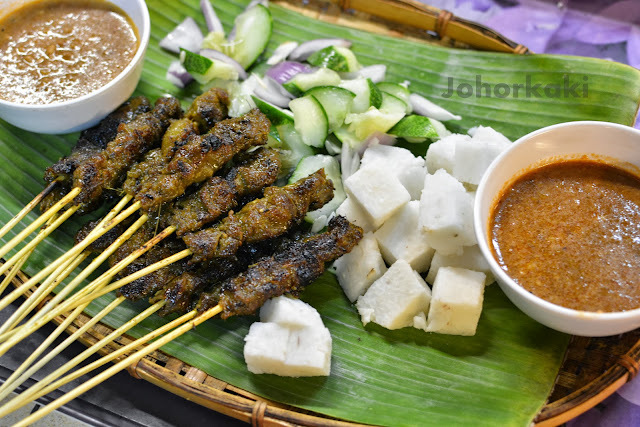 👍 Well marinated meat, good peanut sauce, and skilful grilling make great satay at this rustic, little kumpung style street corner stall. A favourite of JB folk. 👍 This popular little stall selling hae piah ji or deep fried prawn fritters always have a long line of people waiting. 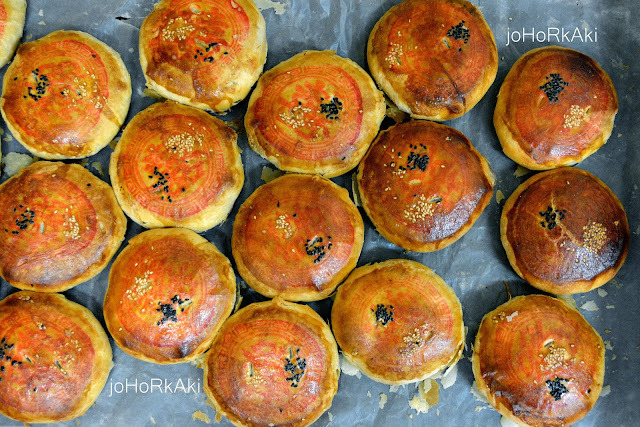 👍 Hiap Joo bakery is one of the defining shops of the Johor food scene. You must try their banana cakes at least once. Whether or not you join Hiap Joo's legion of fans who keep coming back, you will have at least experienced a piece of JB food heritage. A most delicious food icon, to boot. 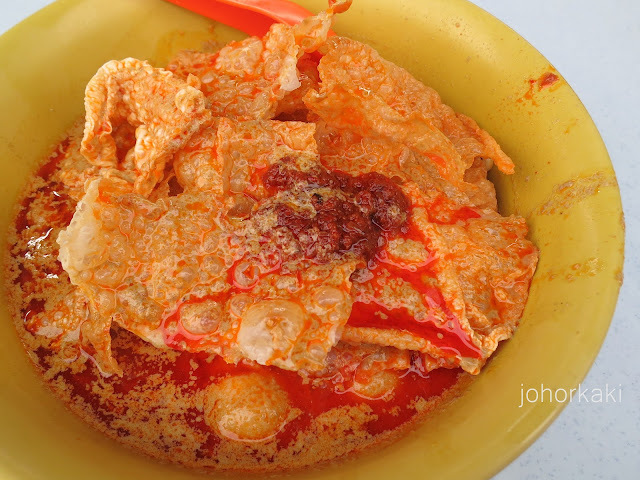 👍 Give this Penang rojak a try - exquisite taste on the back of a moped. The cut fresh fruits are "dry" and that caramel sweet and crustacean savoury sauce is so addictive. Try it to believe it. 👍 Simply an outstanding street food experience not to be missed. Durian is in season all year round here - a good place to initiate durian novices too. 👍 You know... fancy food fads come and go like mist in the morning. Queues appear and are gone in 6 months. But, people have been queuing for grandma's bao for years now. 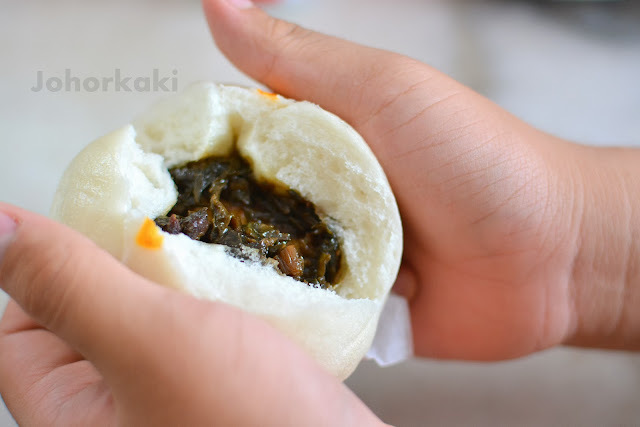 Wee Hoi 惠海 bao is one more good reason to visit rustic Gelang Patah for food. 👍 Be sure to pack these delicious traditional snacks home like a smart local :-D Some of the Hakka kueh are very hard to find anywhere else. 👍 A long time Gelang Patah local favourite which also draws customers from Johor Bahru and Singapore. This is a good place for crab dishes. 👍 One of best kampung chicken rice that I have tried anywhere, so far. CLOSED. In terms of all roundedness i.e. chicken, sauce, rice, dips, soup and dining environment, Ehhe would be tops for me. DELISTED. 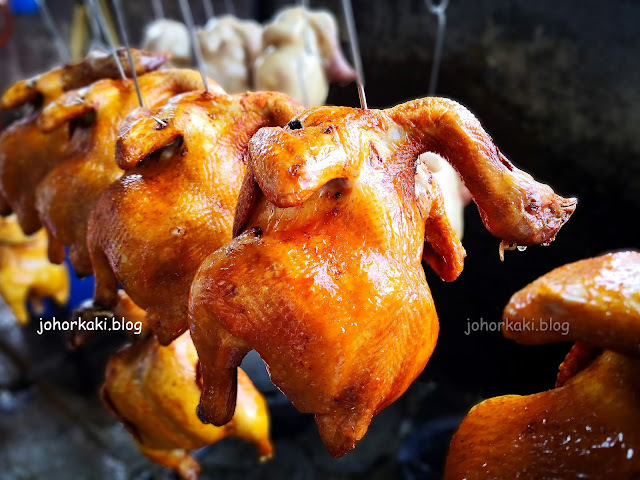 Kampung chicken specialist among JB's top chicken rice stalls. 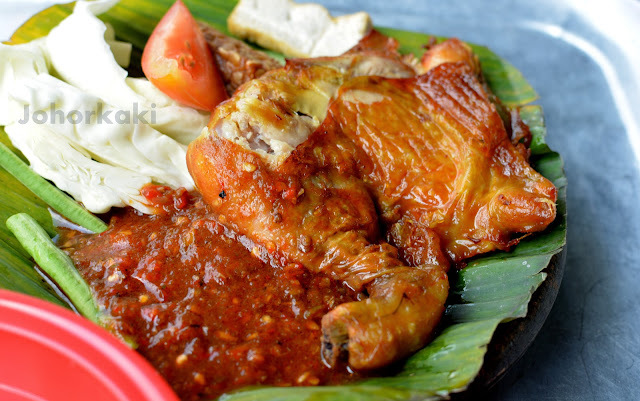 The tender, juicy chicken is a favourite of JB locals. 👆Restoran Tong 东肉骨茶馆 | 41, Jalan Hang Lekir 10, Taman Skudai Baru, Skudai, Johor | 9:00am to sold out (usually around 2:30pm). Opens at 08:00am on weekends. (Rest days are not fixed. Rest for a week every two months.) Call 07-558-5367 to check. 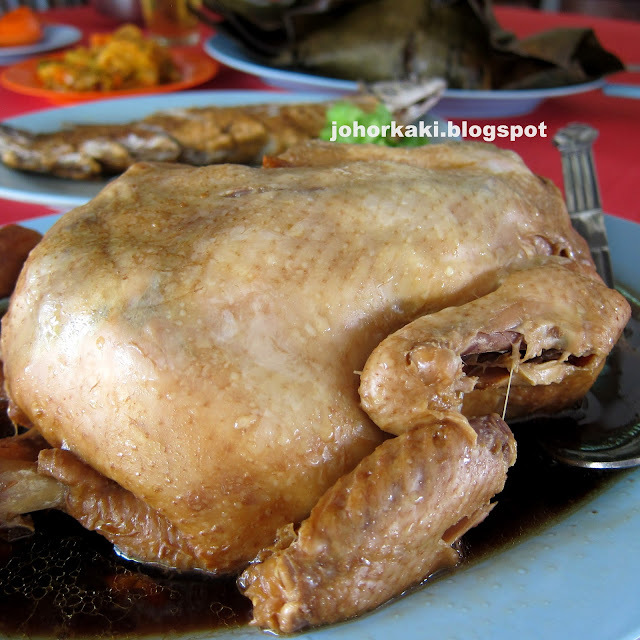 👍 This is one of the Must Eat chicken in Johor. 👍 The chicken was so tender it fell apart with gentle tucks. The moist and juicy flesh fell off the bones easily and melted quickly with gentle chewing. The herbal fragrance was mild and subtle. 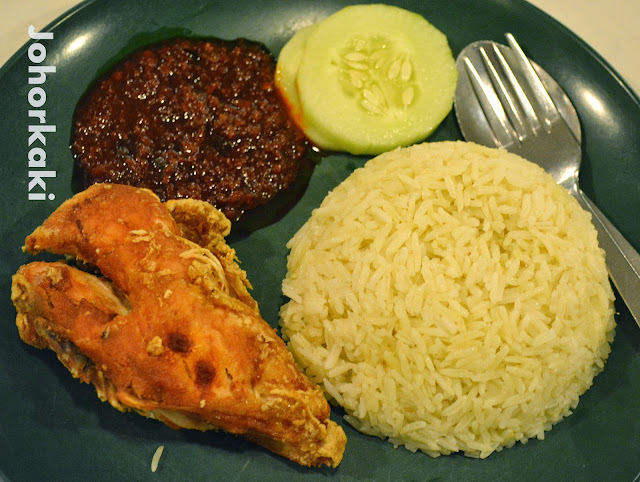 The dominant flavour was the natural sweetness and hints of savouriness of the young kampung chicken. 👍 I like Fong Yem's roast chicken the most after trying so many through the years. DELISTED. Claypot chicken rice loaded with ingredients cooked the old way with charcoal. 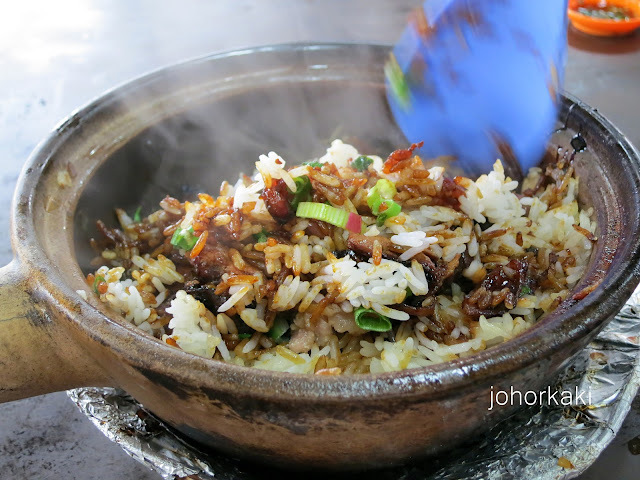 Everything done from scratch and we get that crispy crust that defines good claypot chicken rice. 👍 When you are on your way up north to Kota Tinggi, Mersing, Desaru or Sungai Rengit, 衛生園茶餐室 is a very good old school breakfast pit stop which only locals know about. 👍 Must try the unique boneless fried fish here. You cannot find it anywhere else except here and it is delicious! 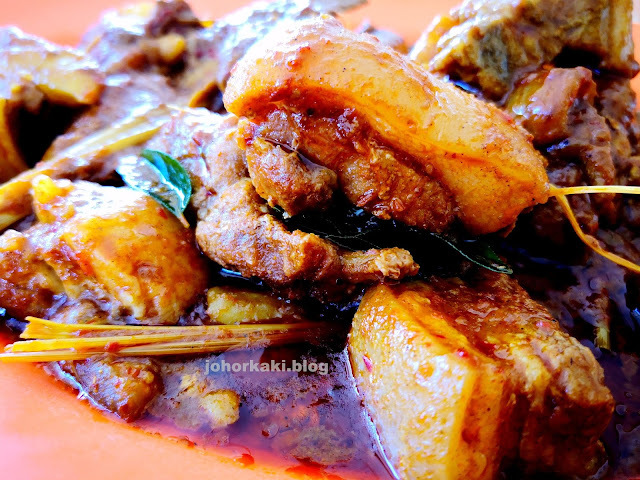 👍 A good place to try the unique Malaysian style of combining smooth thin sah hor fun with flavoursome spicy curry chicken. 👍 Ang Moh Pork Organ Soup 紅毛豬雜湯 is a humble stall relying simply on fresh ingredients for their fish and pork organ soup. 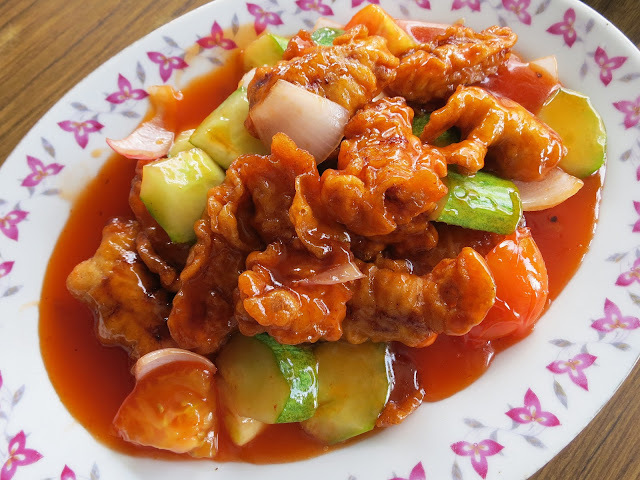 Ah Bing and his family are masters in preparing the fish and pork, and turning them into delicious dishes. 👍 I find a good bowl of fish soup with a bowl of plain white rice very satisfying and comforting. One of my favourites is at Ah Chuan in Starfood coffee shop in Taman Pelangi. 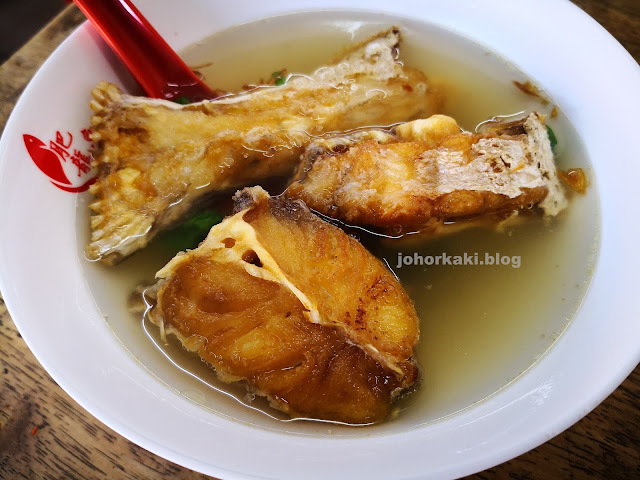 👍 Tasty fish and pork soup at one of JB people's old favourite food stalls. Fresh fish, seafood and pork in clear, clean tasting broth preferred by Tua Thow's loyal following. 👍 Street side fresh sea bass specialist serves good solid broth and is generous with fish in the soup. The noodles in the tossing sauce are great too. 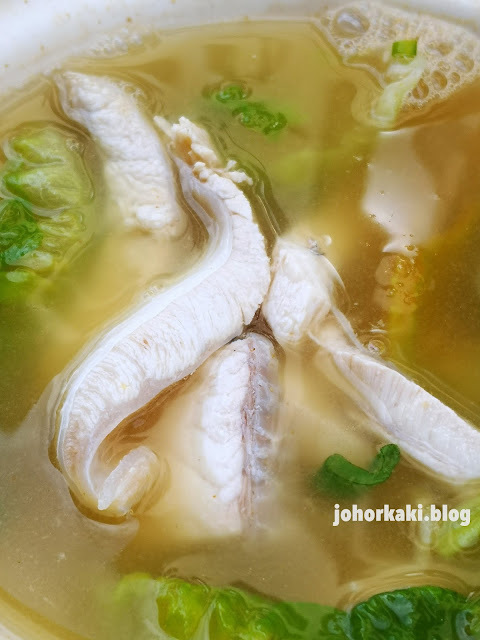 👍 Why do I recommend 唐記雞絲河粉 Tang Kee Ipoh chicken hor fun in JB? Because, it was equally good compared with the best that I have tasted in Ipoh. 👍 One of my favourite fish ball shops in Johor. The hand made pure ikan parang (wolf herring) fish balls have just the right texture and flavour. The noodles feel and taste great. The fish cakes and bean curd crisps make good sides. No gimmicks - just a great old school food experience in JB. (Stall holder passed away in Dec 2016.) If you are a noodle lover, you got to check out Uncle Ah Seng's delicious old school Teochew mee. Not many places in JB or Singapore does noodles this good any more. 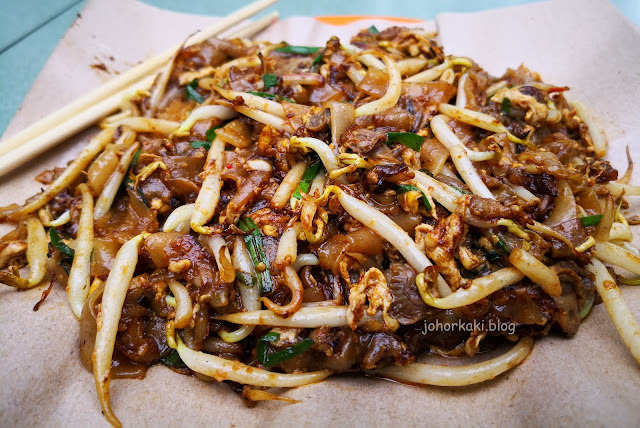 👍 If you want to know what is the JB comfort dish Teochew kuey teow thng 潮州粿条汤, try it at one of the JB people's old favourites at Lao Tee Kue Teow. 👍 There is nothing fanciful here at Ah Hua. No gimmicks. Just darned good, good ol' Teochew kway teow soup. And, in that way delights me always. 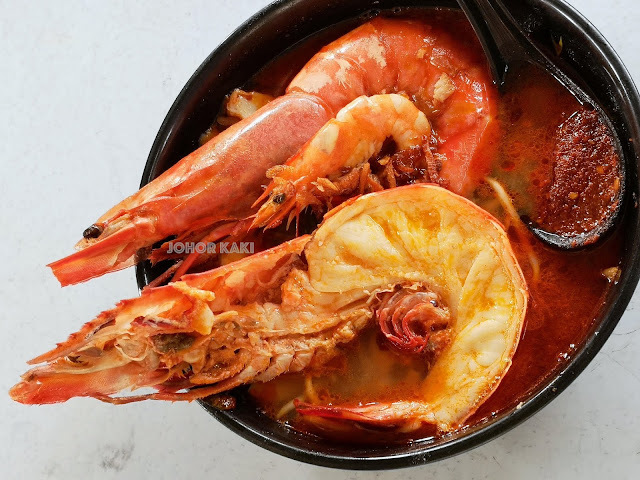 👍 If you are a Singapore old timer and want to reconnect with the old Singapore prawn mee, you got to come here. 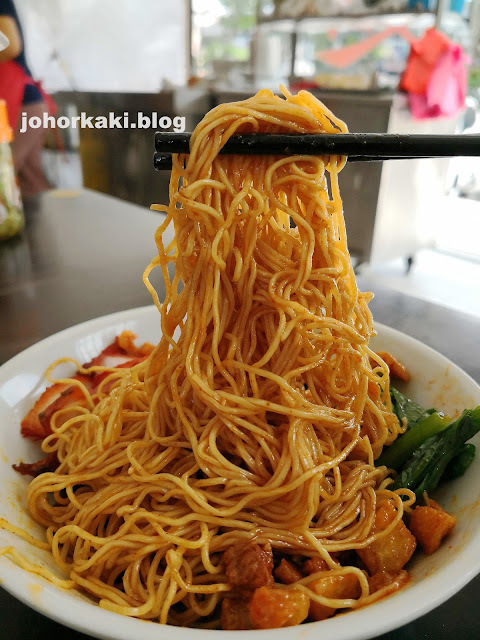 👍 Hakka noodles are hard to find in JB and fortunately Ah Song serves a very good one. Fresh fish balls, tofu, stewed minced pork and noodles done al dente i.e. springy to the bite. 👍 This is a unique wanton mee stall with it's special signature "black" char siew. Everything else on this plate of wantan mee from the tossing sauce, springy egg noodles to the savoury broth and meaty wantans are also good. 👍 One of JB's favourite wanton noodles with a signature gentle spring to the bite. The soft crunch of the eggy slender noodles can be addictive. If you are a wanton mee fan, this is a Must Try. 👍 Simple and nice traditional wantan noodles at humble coffee shop stall. My favourite wanton mee in the downtown JB area. Superb egg noodles with a good spring to the bite. 👍 Sin Kee is one of the flag bearers of the Pontian style of wanton mee. Whether you like the ketchup-chili sauce or not, I think you will be impressed with Sin Kee's signature springy egg noodles. 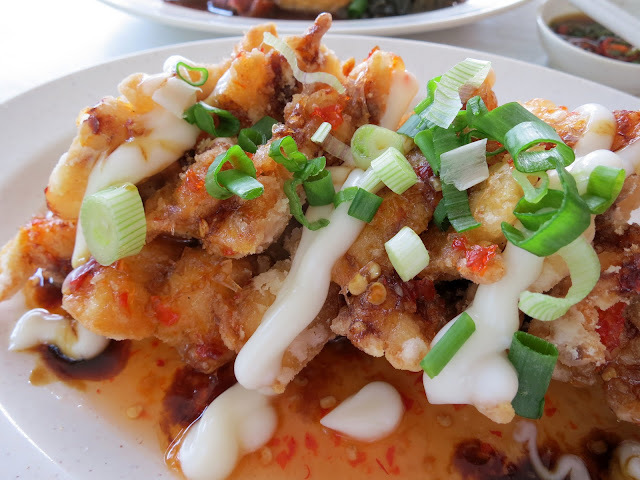 If you are coming to Pontian for a food trail, you need to include Sin Kee in your itinerary. 👍 Love the crunchy texture and taste of the egg noodles. Worth the 10 plus minutes walk from City Square Mall to here in "Culture Street" (Jalan Tan Hiok Nee) for Kedai Kopi Xuu Yau's wanton mee. 👍 The only flying wanton mee left in JB but, to me the best thing about 桃园面家 is their springy lively egg noodles and robust well balanced sauce with a nice spicy kick. 👍 The closest thing in JB to Singapore mee pok and with lots of choices of fresh add ons. 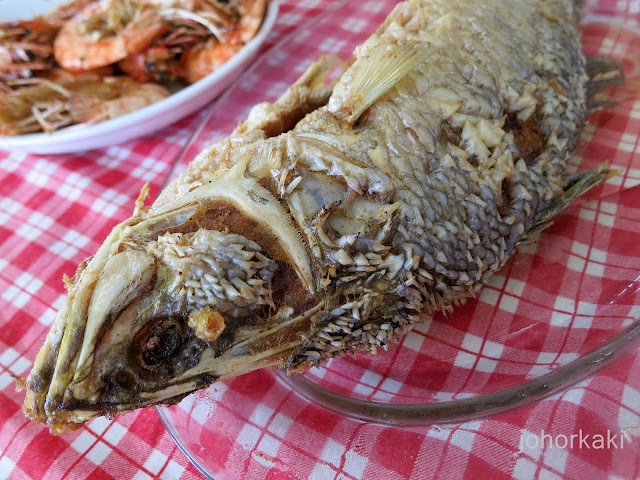 Funny how we can miss our comfort food when home is just 1 kilometre south. 👍 A must try in seaside town Mersing. Vintage Nanyang style coffee shop serving very well executed classic Cantonese dishes with fresh ingredients. A gem worth the drive from JB. 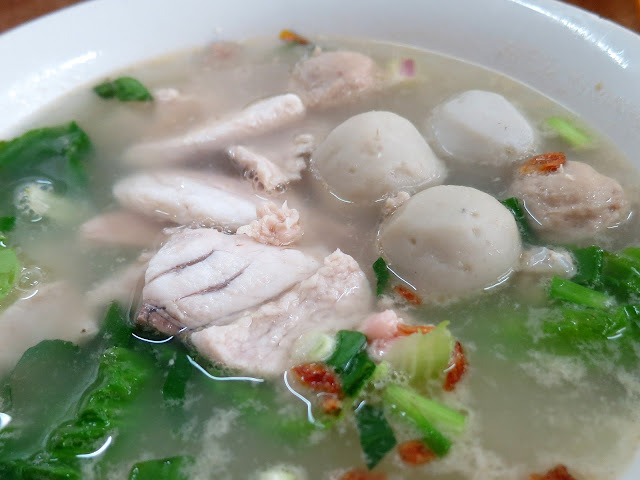 👍 Fei Long is a good place for a nice fish soup - the soup is tasty, the fish is fresh and well prepared, the place is comfortable, the service is sincere and the price is reasonable. DELISTED. One of my favourite fish noodle soup. Fresh fish, fresh noodles, tasty broth, spicy power chili sauce. 👍 大豐麵粉粿 is a mee hoon kueh stalwart of JB - it is a favourite of locals and I love it too. Still staidly faithful to the traditional processes and recipe. 👍 If you are in the Senai area, Min Kee is a place for a solid laksa and good coffee. The laksa is creamy with coconut milk and loaded with aromatic spices. 👍 I am so glad to know about Monyet noodles. 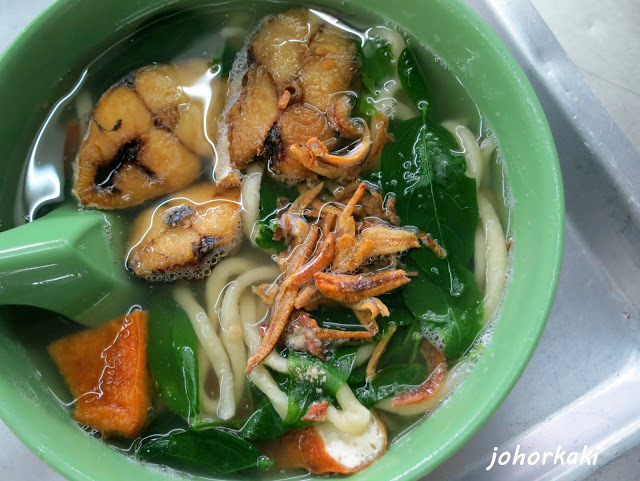 I will surely be back as I love Monyet's hand made rat tail noodles - it's the only place I know that still makes this. Monyet coffee shop is a good place for stop over on the way to Senai Airport, Kulai or Johor Premium Outlets. 👍 One of the most famous curry laksa stall in JB. 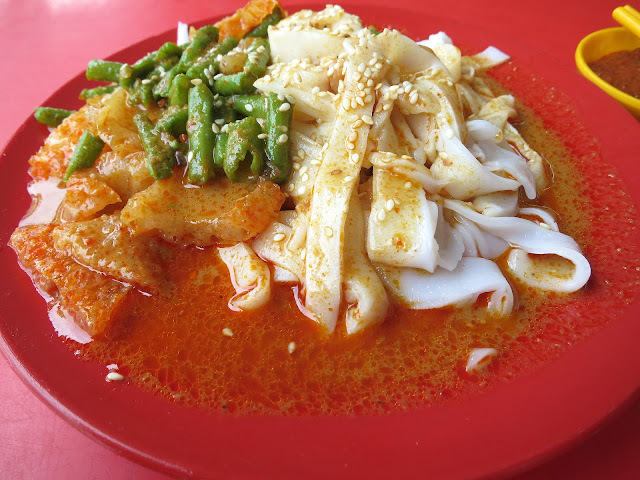 Creamy sweet and mildly spicy curry eaten with lots of yong tau fu type side dishes. 👍 One of JB people's long time favourites. Kumpung style street side dining. Old school curry laksa with coconut milk and anchovy stock base. 👍 Yew Swee coffee shop may look humble and non-descript but JB locals know it has the townsfolk's favourite curry laksa noodle and lor mee. Yew Swee's laksa is among the best but their lor mee has no equal in JB. 👍 An iconic must-try beef noodle for beef lovers, worth the hour long drive to Kulai from JB or Singapore. Be there by 9:00am, otherwise you will have to settle for pork or seafood :-D Kulai folks not only love this shop. They are proud of it. 👍 Mok Chai is one of a handful of traditional Hainanese style beef noodles around Johor Bahru or Singapore that still serves the gooey beefy brown sauce (instead of the dark soy sauce and starch nonsense which I can't appreciate). 👍 This is my favourite beef noodle in JB and Singapore now. Lots of generous strips of tender flavourful beef with delicious noodles in rich beefy sauce. 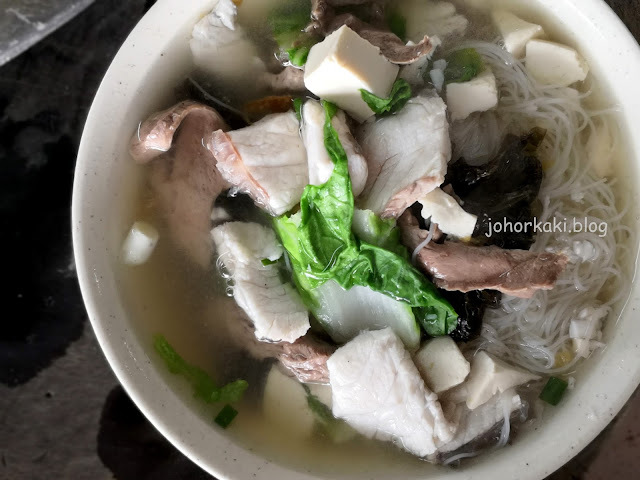 👍 San Low bee hoon is one of the unique, must try dishes of Johor Bahru. Ah Kaw, the dish's creator's restaurant, is a good place to try it. 👍 One of JB's oldest brand of bak kut teh with it's own unique style and loyal local following. Tender but firm meat in a brown savoury, salty, slightly herbal, light bodied broth. 👍 Johor Bahru has very many bak kut teh shops. Check out this original 顺发 flagship shop in Taman Sentosa that has the most BKT branches in Johor. Fresh pork in clean tasting, mildly savoury broth with subtle herbal notes. DELISTED. 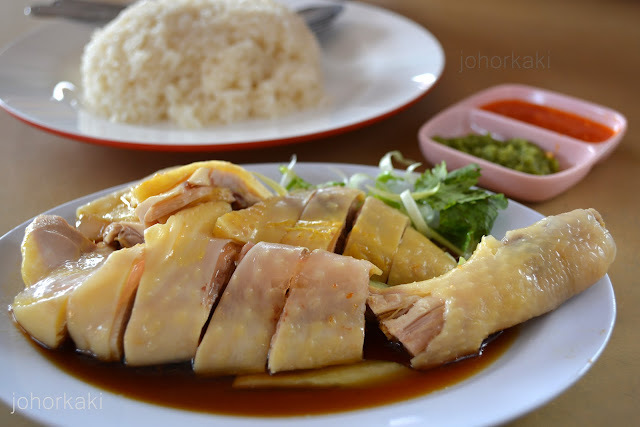 JB people's long time favourite for bak kut teh and sesame oil chicken. The broth is mildly herbal allowing the natural sweetness of the fresh pork to shine. Their sesame oil chicken is also a crowd puller. 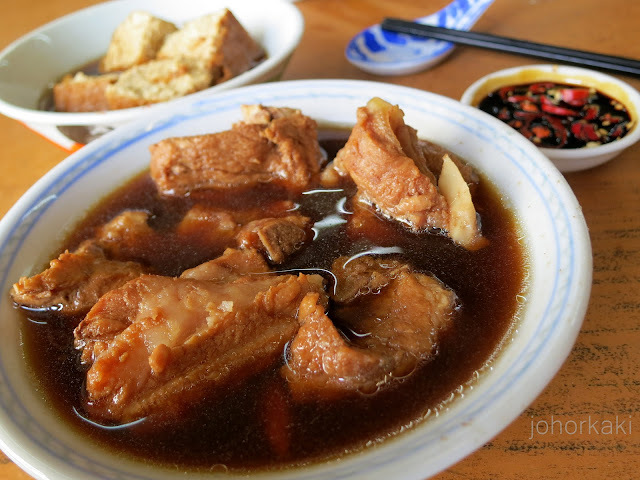 👍 The most famous bak kut teh in Johor which you must try at least once. 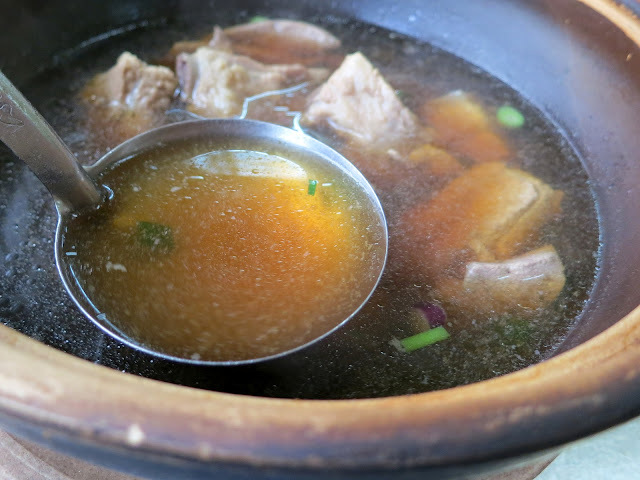 The windy drive, the anticipation, the queue, anxiety when looking for a seat in a full house, the bubbling hot broth, leading to the climax of delicious bak kut teh, it's all part and parcel of the Kiang Kee experience. 👍 The original Kulai style bak kut teh. Fresh, meaty, flavoursome, savoury, slightly garlicky, herbal broth. Reasonably priced in a small town setting. 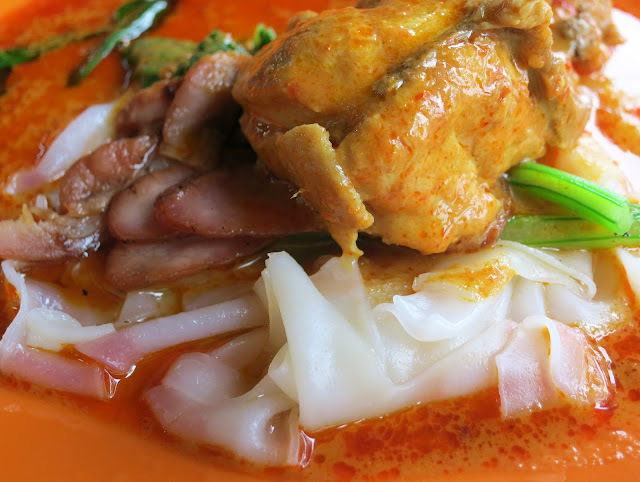 👍 Skudai Duck Mee is a Johor institution serving delicious old style Teochew braised duck. This shop is one of the top brands that put Johor food on the Malaysia food map. 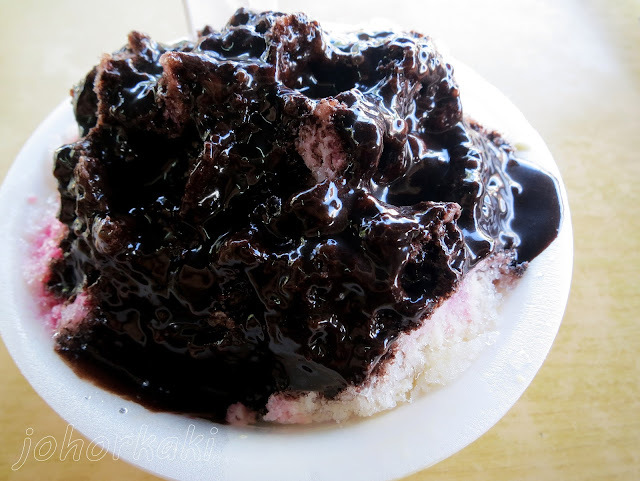 One of Johor's Must Try. 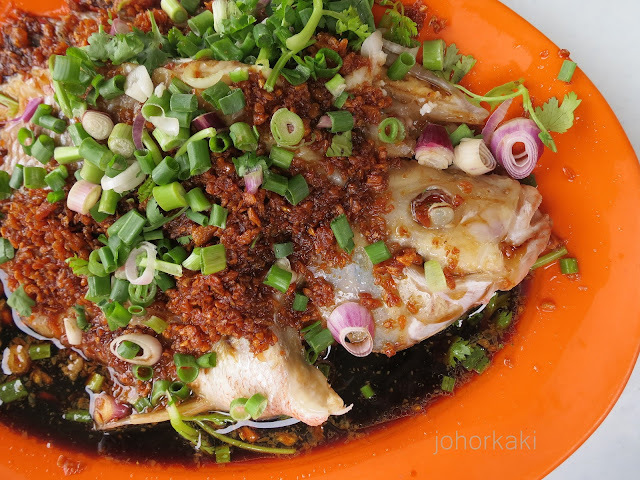 👍 To me, Hin Hock 兴福 and their unique poached fish is one of the old names and dishes that define the good food scene in Johor. 👍 A humble place to come and eat a hearty home style traditional Teochew porridge dinner. So many good side dishes here - braised duck, braised pork, steamed fish, signature asam fish (Thurs only), home style vegetable dishes and more. 👍 I am so pleased to have lunch at San Low Cafe 三楼咖啡屋 at the historic 3 storey flats at Stulang Darat. It's a great place for an authentic JB foodie experience with homely Teochew dishes expertly executed with fresh ingredients. 👍 This is one of my favourite kway teow kia stalls in Johor. The braised items have the right level of sweet savoury herbal flavours. The informal street side ambiance makes the experience even more enjoyable. 👍 Love coming here for KTK in the morning. Parking is easy, the place is comfortable and the food is delicious :-D All the pork offal are well cleaned, nicely braised, clean tasting and bouncy soft to the bite. 👍 A relaxing kampung style place to enjoy one of the best ikan bakar in JB. 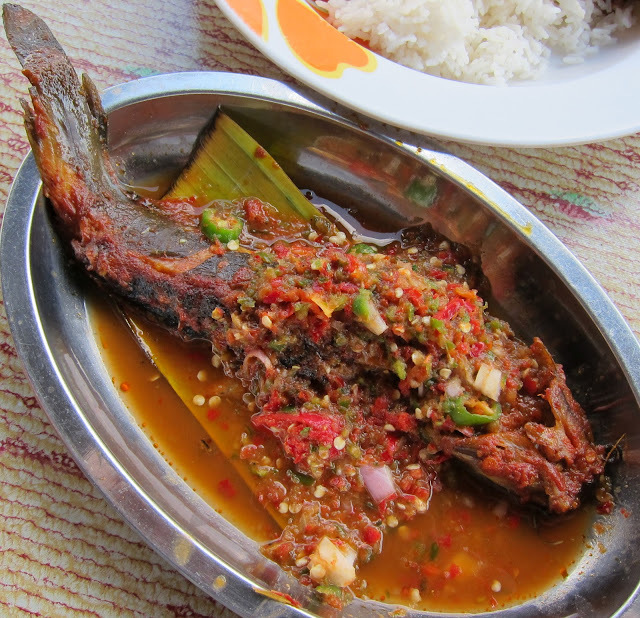 The fish and seafood are very fresh, and grilled with a savoury spicy house made sambal chili. The delicious food is skilfully prepared by the owner chef with 20 years' experience. 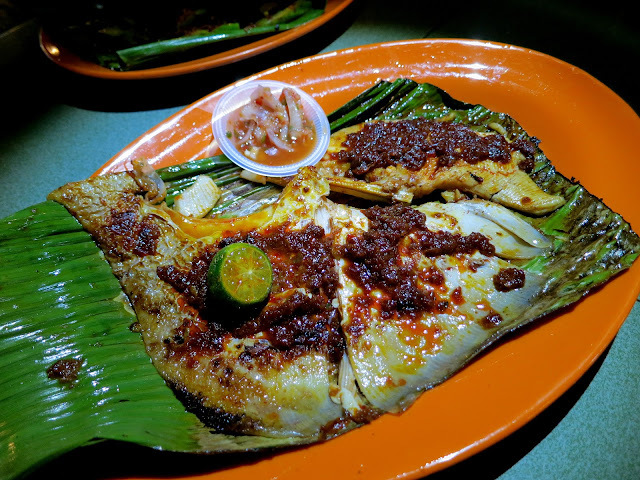 👍 Fresh seafood, great sambal chili and good grilling skills make Sin Kee Ikan Bakar a Must Try for BBQ seafood lovers. 👍 Just like mum's cooking. A talented mum. Fresh hand picked ingredients, expertly executed dishes, informal ambiance, reasonable pricing. 👍 Perhaps, the definitive Chinese style curry fish head. 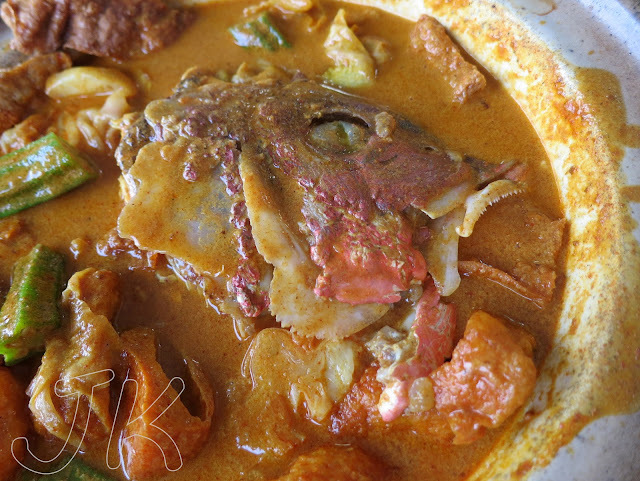 Uber fresh red snapper fish in an inexplicably delicious sweet spicy savoury curry broth. 👍 My go to place for Thai food in JB. Food is nice, the restaurant is humble (furnishings are basic) and prices are reasonable. 👍 CLOSED. Worth the drive to Ulu Tiram for one of Malaysia's best curry fish head and curry pork ribs. The other dishes on the menu are above average too. 👍 This Watermelon Boar 西瓜猪 of Pontian - it tastes like Spain's Iberico pork, no kidding. 👍 I love this dang gui roast duck because I like the herbal flavour of dang gui as well as duck, and Lapan Dua Dua roasts their golden brown birds very well. Pricing is reasonable too. 👍 Now with 槟城干妈亚叁拉沙, I don't have to wait for my next Penang trip to enjoy a good Penang asam laksa. Indeed, I can boldly say that this is as good, if not better, than some asam laksa I've tasted in Penang. 👍 Take your time to enjoy the authentic Penang asam laksa and bo bo cha at the 黄家 family home. It's probably the most exquisitely delicious food you can buy for RM5 and RM3 respectively in Johor Bahru. Must Try. 👍 Kulai people's favourite. Fresh homestyle meal loaded with ingredients prepared in the traditional way and enjoyed in a friendly homely kampung ambiance. 👍 This is the most famous and well loved Hainanese mutton soup shop in JB. Eating in a kampung house adds to the unique experience of enjoying Pandan Mutton Soup. 👍 This is a unique JB style of ABC with chocolate syrup topping. This is one cool old school dessert place locals go to for a mid-morning or afternoon tête-à-tête. 👍 A good place to try simple Malaysian style breakfast food. 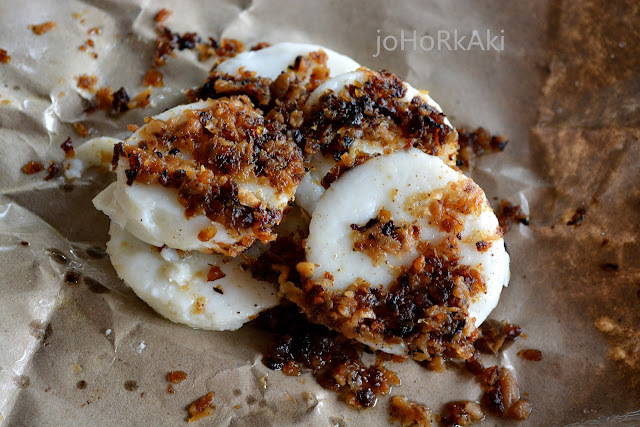 Real milled rice cakes topped with braised turnips with just the right tenderness and savouriness. 👍 My friends are so right - Chef Ong's Penang Hokkien prawn mee in Permas Jaya is too good to miss. Thanks for the tip off. If you are a prawn mee lover, you must come and try this - now. 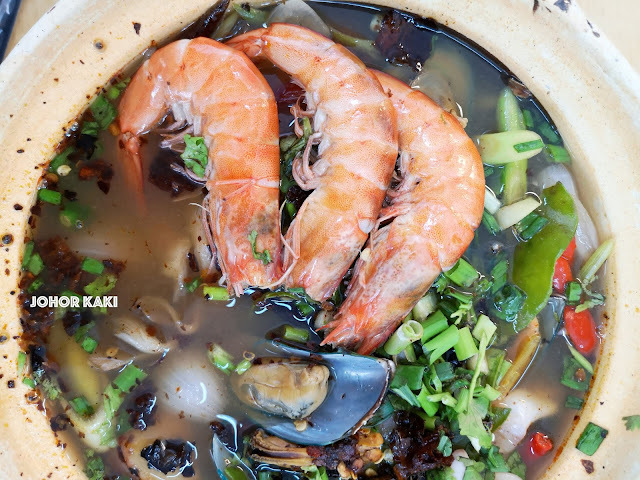 👍 At this any price point, I can't think of a better place than JB Taman Perling's 北海仔虾面 stall to indulge in prawn noodles with rich robust prawn stock and large fresh sea Tiger prawns. CLOSED as owners retired. If you eat out and still want the taste of home, get Ah Mah's cooking at Hay Chooi Coffee Shop. Fresh ingredients, cooked over charcoal fire by grandma just like at kampung homes. 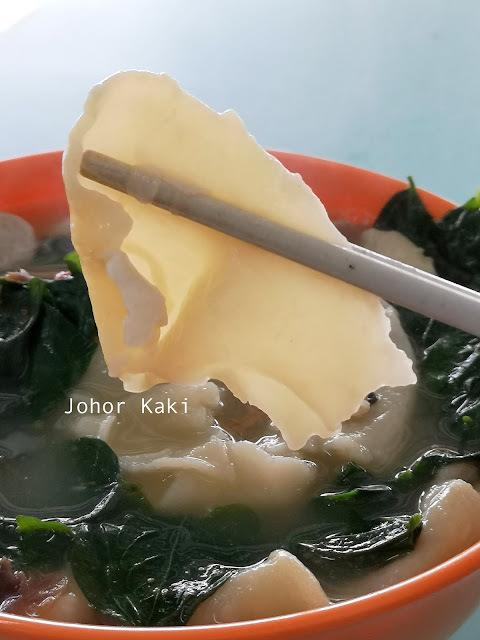 👍 There are many bitter gourd soup shops dotted across Johor, especially in JB. It's been 5 years and I finally came full circle to the original shop that created the dish synonymous with Johor. I strongly recommend 士乃大众 in Senai. It's worth the hour drive from JB. 👍 This is probably the definitive oh chien stall in Johor Bahru. Fresh juicy oysters smothered with a soft egg wrap with slight crisp outside. 👍 A tasty Penang char kway teow in JB which is better than the average that I have tasted in Penang. 👍 Four generations and 48 years, Pasar Kia char kuey teow 巴沙仔炒粿条面 is still well loved in Johor Bahru. 👍 Mr Tay's hor fun was... wow. 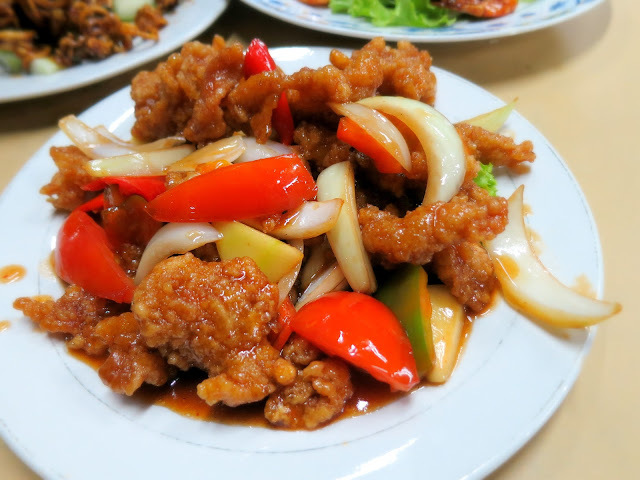 Besides the usual prawn, pork and fish cake slices, Mr Tay added in some tender chicken breast meat. The wok seared rice ribbon noodles have nice wok hei. CLOSED as owner retired. Plentong 阿仙 is a good place for nice old style fried noodles packed with wok hei 镬气 and also crispy fried chicken. We enjoyed watching a master hawker in action while soaking in the rustic kampung feel. 👍 Pelangi City is the little zhi char stall that can deliver like a restaurant. Just be warned that it's in a dark, dingy area (opposite the famous San Low restaurant). 👍 A unique hand made Kampar style chee cheong fun worth trying and you might fall in love with it too ;-D Real rice flavour in the grainy soft ribbons. Lots of sauces and side dishes to go with the delicious fun. 👍 Highly recommended friendly pit stop to carb up, get caffeine and freshen up for the drive up north to Malacca or Kuala Lumpur. Plenty of choices, freshly made. Just need to be early as crowds are expected, especially on weekends. 👍 A local JB folk favourite. Cosy, simple place for nice, freshly made kopitiam style dim sum at affordable prices. 👍 Delicious taste of Hakka tradition. Fresh ingredients, everything hand made, eaten hot straight from the steamer. 👍 Hometown people's choice of refreshing lei cha and meaty yong tau fu in Kulai. 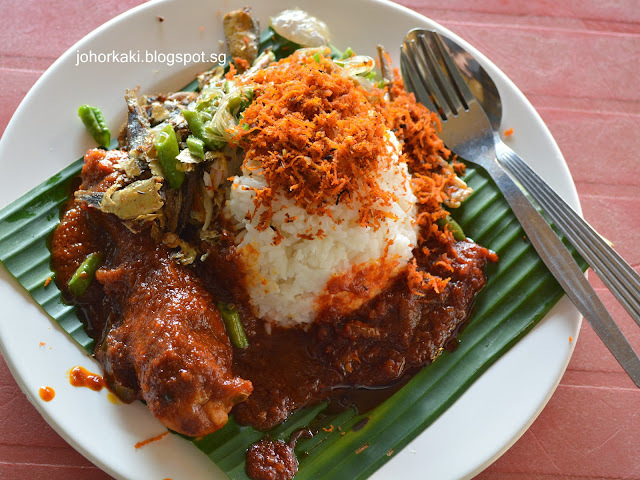 Definitely, one of the authentic top eats in Kulai with kampung ambiance. 👍 Enjoy old Nanyang style coffee, eggs and toast with friendly locals in a rustic Malaysian small town coffee shop. I am grateful that we can still enjoy the wholesome experience that hasn't changed much in the last 60 years. 👍 Kheng Guan Hiong's kopi has a unique flavour and aroma - but responses to it are subjective. 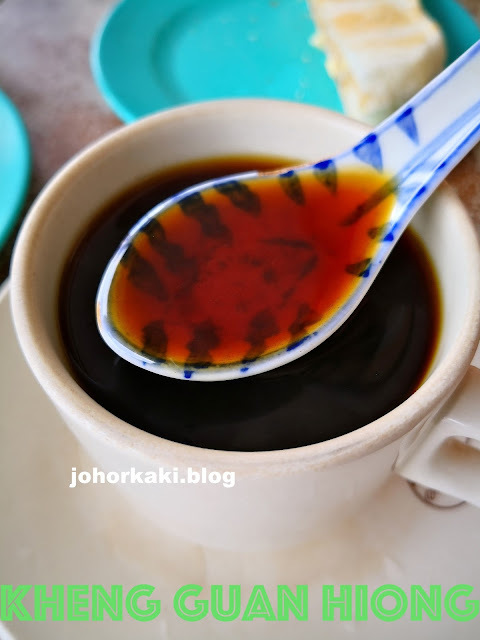 Some think it is the best kopi in the world while others are indifferent to it. Personally, KGH's kopi leaves the most memorable flavour of all coffee that I've tasted so far. 👍 Want to know what is tody? You can check it out here :-D It has a quite a kick :-D This drink is no longer available in Singapore. 👍 In my humble opinion, Jade Garden Seafood Corner is now bigger and better than before. A good place for live lobsters. 👍 Super Lobster Restaurant 龍皇海鮮樓 in Sg Rengit is worth a try for their live lobster and crab dishes. A worthy alternative to Jade Garden. Wow, your extensive JB food list will come in so handy when I am in your city. I have a friend whom I can depend on to take me around but I would need to make a few trips with these many different food. The curry noodles look extremely appetising! Your Blog is like the one to go to whenever I want to explore JB! haha! Thanks! Hope it is helpful :-D Share with us what interesting places you have discovered in JB! Wow... So many nice hawker food at JB. I going to make my trip down there to enjoyed all the yummylicious food. yes yes you will be glad for it :-D And, there are many interesting places to visit and things to do in JB too. wow look so delicious. mouth watering already! if i still have anyone saying JB no nice food, i will show them this post! wahhh..so many great food in Johor and i still haven't try the kacang pool..really tempted to try it out someday. yes yes both the kacang pool (JB style) and the "cauliflower" fish are unique to Johor :-D Come and check them out when you have the opportunity. There are lots of interesting things to eat, see, play and do in JB. Yes, I hope more people will get to know JB the food paradise. Thank you. my favorite cendol!!! wow! !I can go plan a food hunting trip to johor!! 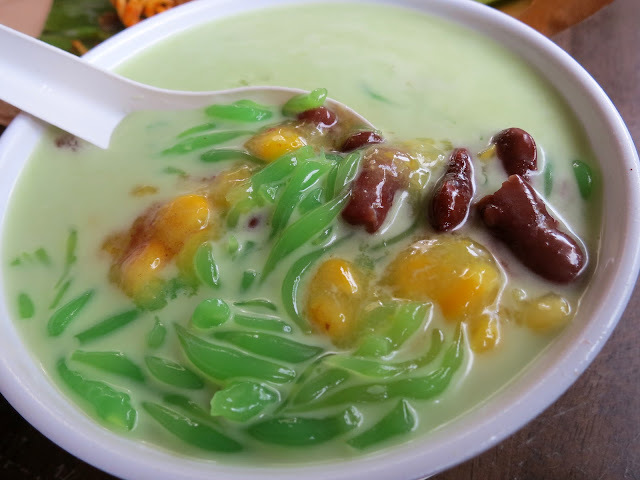 I love cendol too :-D Hope this guide will be useful in your food hunt. You are most welcome. Hope you will enjoy your JB trip. Walaauwei!! How many days do I need to spend in JB to taste it all! 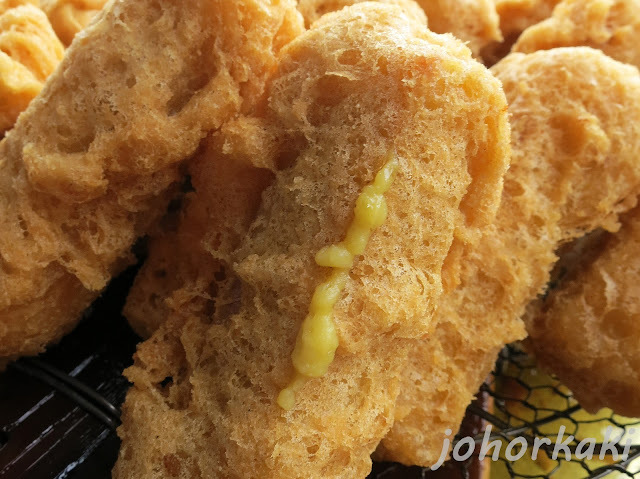 As a Penangite myself I'm thrilled with all these street foods!! 20 days at 5 meals a day :-D but seriously, do come to JB. There are many interesting things to see, do, eat and play over here. Great! welcome to surprising JB. 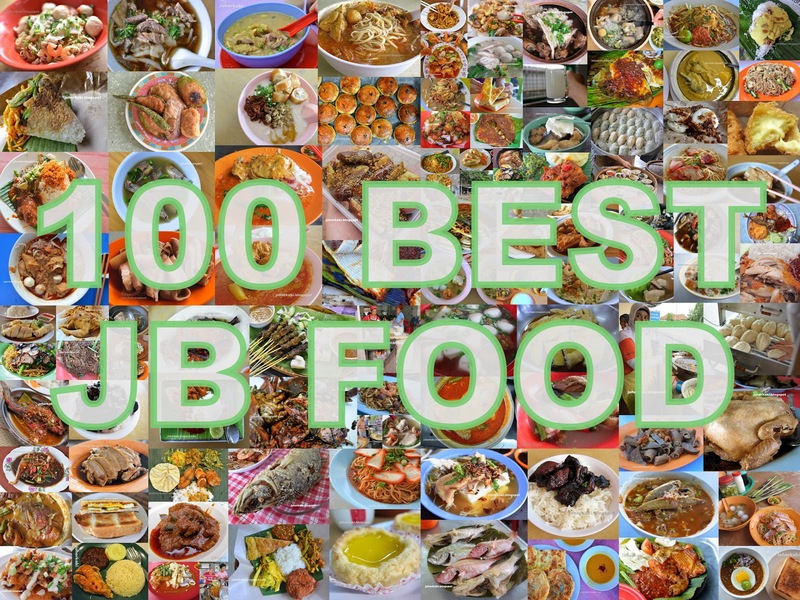 There is a lot more than these 100.
such a comprehensive list.. will bookmark this post, going down JB this month. Whoa! so much of a variety. I will surely try a few when I go JB next time. Thank you. Hope that it suits your taste buds too. Thank you. Actually, there is a lot more than these. It's just that I limited the list to 100 only. Share with us your discoveries too. Thank you. Hope that you will find it useful too. Anyone knows what happened to the Char Kuey Teow stall which was located beside the Hindu temple in JB town in the 90s? His Kuey Teow was simple but delicious. Tq very much for your list. My family has been complaining about the lack of food option in Jb. The list is a life saver. We have tried about 55 of them. Some are our usual favorite stalls while others are new. The food occasionally are not consistent as it taste different on different occasion. One of the restaurant has shifted. Thank you for your support. May I know which restaurant has shifted so that I can update the list. Appreciate much. always very entertaining to read your blogs. keep up the the great job ! Hi.. Good source. But is there any authentic chinese food stall that is halal.. As me n my wife still searching where we can eat chinese food that is halal..
You may like to try the Chinese restaurant at La Grandeur Palm Resort (but it is not a stall). I shall search for more. It is still in business. Can try again ;-D Thanks. Thanks ffor finally writing about >"Johor Bahru 100 Best Street Hawker Food and Places to Eat in JB 2016 / 2017 👍"